On the 1st of December, Bolivian authorities announced suspending the operator’s license of LaMia, a local charter carrier after the fatal crash that happened on the 28th of November, most possibly due to insufficient fuel. The crash that happened in close proximity to Medellin, Colombia, resulted in 71 deaths, with only six survivors. Among the casualties were most of Brazilian football club Chapecoense players that were travelling to Colombia for the finals of Copa Sudamericana. 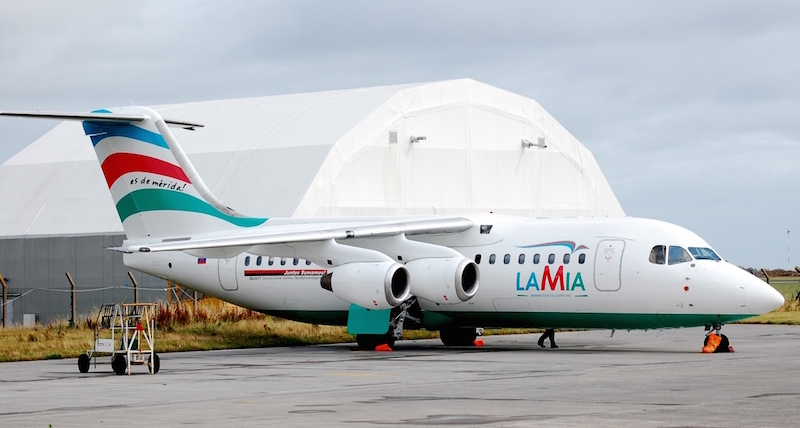 As of November of 2016, LaMia had a fleet of two Avro RJ85 planes. The airline was found in 2015 on the ashes of unsuccessful Venezuelan airline with the same name. Prior to suspension, the Bolivian LaMia was targeting mining companies, travel agencies and football teams, including the national teams of Venezuela, Bolivia and Argentina.